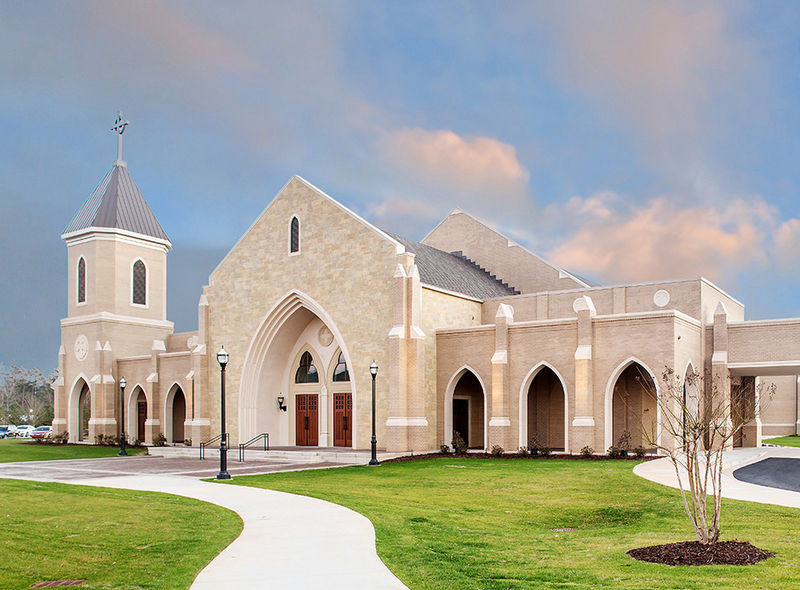 The end result is 40,000-square-feet of the most beautiful worship space you have ever seen to give glory to our Lord. Our contractor was R.W. Allen, who is based in Augusta. Nine years ago, they built our first two buildings on our property. These two buildings were a 30,000-square-foot Parish Life Center and a 20,000-square-foot, 12 classroom education building. R.W. Allen and John Martin did such an exceptional job back then; that we, without hesitation chose them to build our church. For a project of this nature to be completed in a six-month timeframe is indeed impressive and deserving of acclaim even before considering that the project covered over 30,000 square feet in a former mall building being adaptively reused. St. Anne's Parish was blessed to have R.W. Allen as its Construction Manager. R.W. Allen came into the project after it had been stalled for three years, and through a fresh approach, they were able to get the project in budget and start construction. In fact, the value engineering not only allowed the project to come in under budget, but the additional funds were available for additional scope, including the completion of a choral rehearsal suite. I have “before and after” photos that validate the decision to employ the services of R.W. Allen. Besides the obvious quality of their work, it was their attention to detail and respect for my budget that impressed me most. In addition, I put them under a lot of pressure to complete the project in a short time frame. Due to their solid reputation with subcontractors and governmental departments, the goal was met with time to spare. At the present time, I am searching for a suitable site in Savannah. When I find it, I will be partnering with R.W. Allen again. They proved their worth and there is no questioning their integrity. R.W. Allen has proven to me, time and time again, that they are "your partner" in the construction process and "your advocate" through the entire life of the project. When it is my choice to select the general contractor for a project, they are my first and only call. On behalf of R.W. Allen, LLC, I would personally recommend R.W. Allen as a construction partner. I have never experienced a better team approach committed and focused to the customer's goals. They have continually made good and valuable suggestions on constructability and value engineering that has benefited both the project and the Owner. And most outstanding is their attitude to please the Owner and their can do and will do attitude. I can honestly say that from the senior management to the field employees and office staff, I have never worked with a more dedicated and professional contractor. R. W. Allen maintains a culture of teamwork and honesty that is evident in the quality of work they produce. We could count on the project team to be open, transparent, as well as respond quickly to any request or question. The quality of work exceeded our expectations as to standards, cleanliness, communication, subcontractor coordination, and transparency. Most importantly, R.W. Allen, LLC completed the project on schedule and on budget. Your Firm’s preconstruction services and cost estimation allowed the project to come in almost two million dollars under budget ($2,000,000.00). Your Firm’s attention to detail allowed the Owner to realize an additional savings of over a quarter of a million dollars, ($250,000.00) within thirty days of construction commencing. Your Firm’s commitment to local participation has increased the economic impact of the Project by maximizing the use of local vendors and subcontractors. Good communication and willingness to work together are key to making any construction project a success and R W Allen is always ready and willing to work together to provide a quality built project everyone can be proud of. The expertise and knowledge we have received from RW Allen has been over and above in the areas of quality of workmanship, cost control, value engineering and timing. I have been so pleased with the result of each project and truly appreciate RW Allen’s hard work and professionalism. "I have never experienced a team so committed to the focused goal, while paying so much individual attention to the end customer. I would unconditionally recommend RW Allen for any construction project." THANK YOU FOR YOUR INTEREST IN RW ALLEN. Robin Reeve Allen was born and raised in Carrollton, Georgia. She graduated from Auburn University with a degree in Music Education. She and her husband, Rick W. Allen, started a small construction company, R. W. Allen and Associates General Contractors in 1976. The company now has offices in Athens as well as Augusta, and just celebrated their 40th anniversary. Robin and Rick have four grown and married children and 11 grandchildren, with another one on the way in October. Robin continued her love of music as pianist and children’s choir director at Trinity on the Hill United Methodist Church for 20 years and has also taught piano lessons for 20 years. In 2014, Rick was victorious in his bid for U.S. Congress. He and Robin now divide their time between Georgia and Washington, D.C. with Robin taking over as CEO of the company. Scott graduated from Auburn University in 1985 with a Bachelor’s Degree in Building Science. He joined R.W. Allen in 1985 as Project Engineer. He was then promoted to Project Administrator in 1987; Senior Project Administrator in 1989; Vice President of Project Development in 1992; and took on the roles of Executive Vice President/Senior Project Administrator in 1996. In 2008, Scott became President and Chief Operating Officer (COO) of R. W. Allen. Scott’s many years of experience as Senior Project Manager on numerous jobs have provided him with the expertise and knowledge necessary to effectively manage any project. His commitment to his work, dedication to his clients, and passion for achieving team goals have resulted in multiple successes for R.W. Allen and many repeat customers demanding his managerial expertise. Ultimately, Scott assumes complete responsibility for all phases of R.W. Allen projects. John Martin graduated in 1997 from Georgia Southern University with a Bachelor of Science in Construction and a minor in Business Management. Later that year, he joined R.W. Allen as a Project Estimator. Expressing a desire to manage work, John advanced to Project Engineer in 1998 and became Project Administrator in 1999. Due to the high level of dedication and admirable work ethic he demonstrated in both roles, he was promoted to Senior Project Administrator in 2003, and in 2008, John was promoted to Vice President of Operations for R.W. Allen. In this role he manages projects and provides oversight of operations for the Augusta and Athens offices. In developing his career, John Martin has acquired the knowledge and disciplines necessary to ensure the seamless construction of projects, regardless of any potential interruptions such as material delivery delays or subcontractor scheduling issues. He has successfully managed work across all market segments, including institutional, educational, industrial, healthcare and ecclesiastical projects. Connie M. Melear graduated in 1996 from the University of Georgia with a BBA in Accounting. Her work experience includes business education and banking, as well as six years at another regional construction firm. She joined R.W. Allen in 2002 as controller and was named Chief Financial Officer in 2003. Connie became part of the ownership team in 2006. As Chief Financial Officer, Connie Melear answers directly to the President on financial and corporate matters. She also manages RWA’s Accounting and Administrative staff members and directs other non-financial operations departments within the company such as technology, equipment, human resources, and safety. Tommy Goodyear joined R.W. Allen in May 2006 as Project Manager. He is an Architectural Engineering graduate of Southern Technical Institute and spent four years as an architect with the Medical College of Georgia Department of Facilities Planning & Design. Equipped with more than 34 years of experience in the construction industry, his experience spans every level of project development. Working primarily in the Athens office, Tommy currently serves as Senior Project Manager. In this role, he works to maintain exacting participation in the estimating and bid process, and provides management for all projects run from the Athens campus. Tommy’s many years of construction experience have provided familiarity with a diverse array of project management situations. He has successfully overseen construction and completion of commercial construction projects that total more than $200 million. The depth of his experience coupled with his administrative skills and eye for detail bring unlimited benefits to R. W. Allen customers. Brad Lynch graduated from Clemson University in 2005 with a Bachelor of Science Degree in Construction Science and Management and a minor in Business Administration. Upon graduation, he began his construction career as a Field Engineer with Mashburn Construction in Columbia, SC. Brad’s initial construction project with Mashburn was an Orthopedic Surgical Center for Midlands Orthopedics in Columbia, SC. After completion of this project, he relocated to Augusta, GA and obtained employment with R. W. Allen as a Project Engineer. As a Project Engineer and now as a Project Administrator for R.W. Allen, Brad Lynch has managed various types of construction projects including educational and athletic facilities, retail spaces, institutional buildings and healthcare projects. His methodical approach and careful attention to detail consistently provides clients with confident and organized project management. 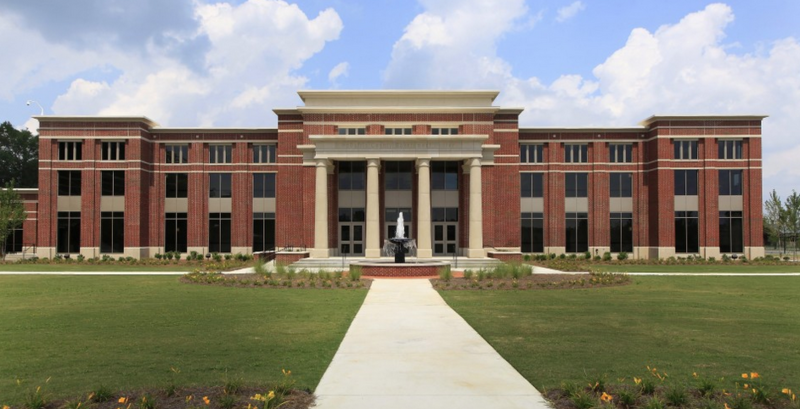 Chuck McRee graduated from Auburn University in 1994, receiving a Bachelor of Science degree in Building Construction. In April 1994, Chuck joined R.W. Allen, serving in the role of Project Estimator. In 1996, Chuck took on the role of Project Engineer and went on to become Project Administrator in 1999. In 2004, Chuck moved into the R. W. Allen’s Procurement Department, for which he currently serves as Director of Preconstruction. In his role, Chuck performs preconstruction services, facilitates presentations on projects and corporate strategies, and provides valuable budgetary and scheduling information to customers in the initial planning stages of a project. To date, Chuck McRee has provided estimates and preconstruction services for projects totaling more than $400 million. Branan Ruffin graduated from Clemson University in 1994, receiving a Bachelor of Science degree in Construction Science and Management. He worked four years with M.B. Kahn Construction in Columbia, South Carolina serving as Corporate Scheduler and then Estimator for one of the the Kahn Corporation divisions. Branan joined R.W. Allen in 1999, serving in the role of Project Estimator. Branan is responsible for developing cost estimates for various types of projects and delivery systems. His project experience includes educational, medical, office, retail, historical renovation, and industrial facilities. He remains active in the public (“hard bid”) market, which helps R. W. Allen stay in touch with local markets and current industry prices. Branan is also involved with R.W. Allen’s Preconstruction Services, performing estimates for projects at several intervals during the design process in order to help the owner and designer keep their project within the allocated budget.